The following is a review of The Adventures of Rush Revere Book Series with the TOS Homeschool Review Crew. 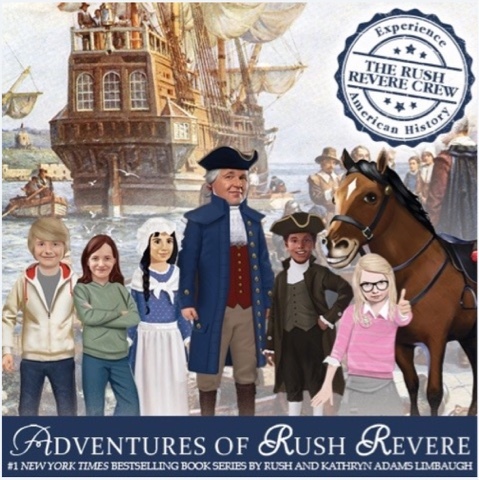 My son just finished reading the last book of the Adventures of Rush Revere #1 New York Times Bestselling Book Series by Rush and Kathryn Adams Limbaugh, and he has already asked if I think the authors will write more. This five book series captured his attention and he has been reading more consistently for the past six weeks than I've seen him read in a while. These books have completely engaged him while simultaneously teaching him about American history. I hope that the authors write more, too. And yes, I've been reading this series, too. My daddy first introduced me to Rush Limbaugh years ago through his radio talk show. It became an easy introduction to us discussing politics together. These stories aren't nearly as controversial as those talk shows, although the sassy character Elizabeth does add some of the same type of high emotion. These books are beautiful! Hard cover books with a classic appearance have full color book jackets which give an idea of the characters' appearance. They arrived tied together with a satin ribbon. Each book of filled with fun pictures in full color. They illustrate the stories in an exciting way. You can see examples below. 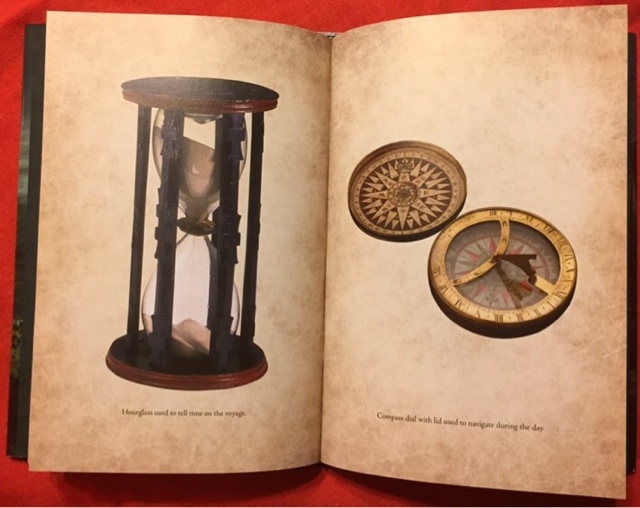 Mix historical fiction (one of my favorite genres) with a bit of fantasy, add a dash of sci-fi, and stir it all together in a modern classroom. These books are fiction, but they are filled with facts from our American history. These five books cover the time from Pilgrims coming to America through the inauguration of President John Adams. 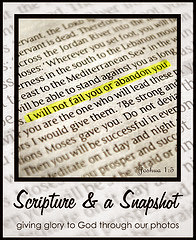 Each book is over 200 pages long. The main character is Rush Revere, a time traveling substitute history teacher. His mode of travel is unusual-- Liberty, a sometimes invisible horse who brings humans through portals to America's past. And Liberty dances and talks! Students Tommy, Cam, Freedom, and Elizabeth all respond differently as they experience the unbelievable time travel with Rush Revere. These books make you think about history and ask questions. Are you sure that pilgrims wore black and white like the kindergarten costumes we see every Thanksgiving? Do you know the difference in the Poop deck or Forecastle of a ship? If not, then you'll appreciate the labeled drawing of a cutaway view of the Mayflower which clearly illustrates each location visited in the first book. Every book is filled with full color drawings: maps, tools, characters, and more make history come to life. 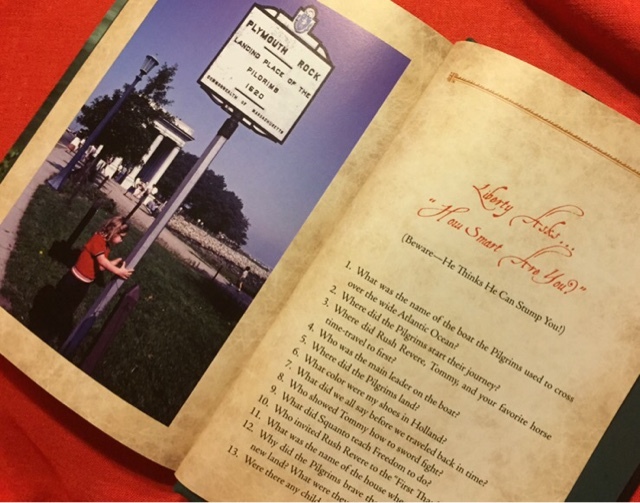 At the end of some of the books, there is a list of related questions as pictured below. I read and discussed the questions with my son. My son's favorite book of the series is Rush Revere and the Star Spangled Banner. He said that in this book, Rush spends more time in the modern day than he does in the past. Cam is my son's favorite character. "He has a positive attitude about everything. He doesn't stop doing something once he starts." My son shared that he learned a lot. He thought it was neat when the students in Rush's class were able to go back in time and ask the historical figures questions that helped them to better understand history. I think these books would be a great addition to any family library. 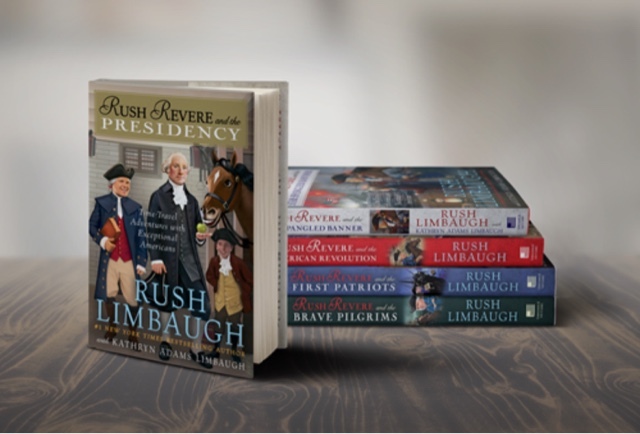 Find Rush Revere on Facebook, Twitter @RushRevere , and on You-tube.